Waterproof Bag Case for Cell Phone Only $2.34! You are here: Home / Great Deals / Amazon Deals / Waterproof Bag Case for Cell Phone Only $2.34! Here’s a neat idea to protect your cell phone. 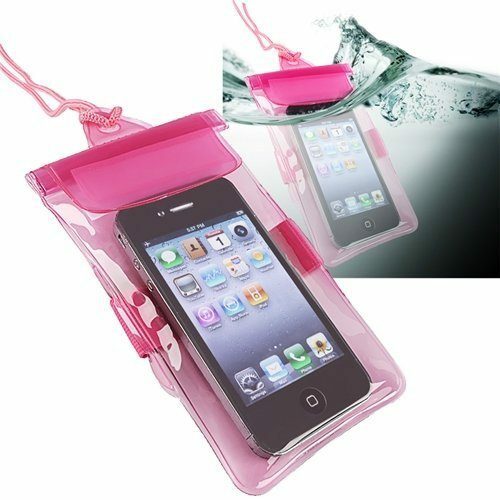 Get this Waterproof Bag Case for Cell Phone in pink for only $2.34 on Amazon. Or, you can get blue for $2.38 and black for $2.78. Shipping is FREE! Waterproof rating: IPX7 (Protected against water immersion for 30 minutes at a depth of 1 meter).Dedicated soft TPU with tensile strength, acting as a buffer with drop resistance protection.Note: IPX7 does not guarantee buoyancy, swimming with your device at deeper than 1 meter may cause a leak and damage it.